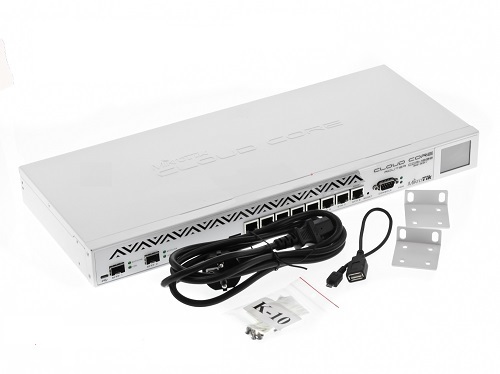 The new MikroTik RouterBOARD Cloud Core Router CCR1036-8G-2S+ has two SFP+ ports for 10G interface support. MikroTik RouterBOARD Cloud Core Router CCR1036-8G-2S+ uses the 36 core Tilera CPU in delivering an excellent performance with the possibility of ten gigabit links. The CCR1036-8G-2S+ has two SODIMM slots, by default it is shipped with 4GB of RAM, but has no memory limit in RouterOS (will accept and utilize 16GB or more.